Bankruptcy Chapter 11 Case Summary: Western Real Estate Equities LLC v. Village at Camp Bowie I, L.P., No. 12-10271 (5th Cir., February 26, 2013). The Fifth Circuit recently held in a Chapter 11 Bankruptcy action that the Bankruptcy Code does not distinguish between discretionary (i.e., “artificial”) and economically driven impairment, and therefore a plan that artificially impaired unsecured creditors by paying them in full over three months (when the debtor had the cash to pay them in full on the Effective Date) did not per se violate the good faith requirement of § 1129(a)(3) of the Bankruptcy Code. Western Real Estate Equities LLC v. Village at Camp Bowie I, L.P., No. 12-10271 (5th Cir., February 26, 2013). In this case, a commercial real estate firm bought a commercial parcel of real estate near Fort Worth Texas in 2004. The firm invested $10 Million of its own capital, and obtained short term notes for the balance. By the time the firm filed for Chapter 11 bankruptcy in 2008, the balance of the Notes was approximately $32 Million. Wells Fargo eventually acquired the notes, and sold them to Western. Western’s goal was to displace the property owner. Western therefore initiated a non-judicial foreclosure. The day prior to the foreclosure sale, the developer filed for bankruptcy. Western sought relief from the automatic stay, alleging that the landowner had no prospect of a confirmable reorganization. The Bankruptcy Court, however, refused to lift the stay because, in its opinion, there was approximately $34 Million in value. After several amendments and modifications to its Chapter 11 plan, the debtor proposed a plan to pay all 38 unsecured trade creditors (owed around $60,000 who were to be paid in full over three months) and to modify Western’s note (5 year note for its entire principal at 5.84% interest). All unsecured creditors voted to approve the plan. Western objected. The bankruptcy court held a three-day hearing to determine whether it could confirm the plan under 11 U.S.C § 1129 notwithstanding Western’s objection. During the hearing, Western complained that the Village’s plan failed a number of the conditions for confirmation set forth in § 1129. Among other things, Western argued that the plan offended § 1129(a)(10), which requires that a plan garner the vote of “at least one class of claims that is impaired under the plan.” Here, Western observed, the Village’s plan minimally impaired the unsecured trade creditors by proposing to pay them in full, but over a period of three months after plan confirmation without interest. Section 1129(a)(10) prohibits a court from confirming a plan of reorganization unless “at least one class of claims that is impaired under the plan has accepted the plan.” Section 1124 explains that a plan impairs a class of claims unless it “leaves unaltered the legal, equitable, and contractual rights” of the claim holders. Section 1123(b)(1) provides that “a plan may impair or leave unimpaired any class of claims.” Lastly, § 1129(a)(3) requires a plan proponent to “propose [its plan] in good faith and not by any means forbidden by law.”Circuits have divided over the question of whether § 1129(a)(10) draws a distinction between artificial and economically driven impairment. At the one end of the spectrum, the Eighth Circuit held in Matter of Windsor on the River Associates, Ltd. that “a claim is not impaired [for purposes of § 1129(a)(10)] if the alteration of the rights in question arises solely from the debtor’s exercise of discretion.” Under the Eighth Circuit’s approach, § 1129(a)(10) recognizes impairment only to the extent that it is driven by economic “need.”At the other end of the spectrum, the Ninth Circuit held in Matter of L&J Anaheim Associates that § 1129(a)(10) does not distinguish between discretionary and economically driven impairment, observing that “the plain language of section 1124 says that a creditor’s claim is ‘impaired’ unless its rights are left ‘unaltered’ by the [p]lan,” and that “[t]here is no suggestion here that only alterations of a particular kind or degree can constitute impairment.” However, the Ninth Circuit left open the possibility that discretionary impairment could offend a plan proponent’s duty of good faith under § 1129(a)(3). The Fifth Circuit joined the Ninth Circuit and held that § 1129(a)(10) does not distinguish between discretionary and economically driven impairment. As the Windsor court itself acknowledged, § 1124 provides that “any alteration of a creditor’s rights, no matter how minor, constitutes ‘impairment.’” Thus, the Fifth Circuit rejected the secured creditor’s argument that an artificially-impaired class of creditors could not satisfy the voting requirements of § 1129(a)(10) or the good faith requirement of § 1129(a)(3), concluding instead that “a plan proponent’s motives and methods for achieving compliance with the voting requirement of § 1129(a)(10) must be scrutinized, if at all, under the rubric of” the good faith requirement of § 1129(a)(3). Where a plans proposed with the “legitimate and honest purpose to reorganize,” the good faith requirement is satisfied. No. 12-10271 (5th Cir. February 26, 2013). Click here: 12-10271-CV0.wpd for a copy of the opinion. 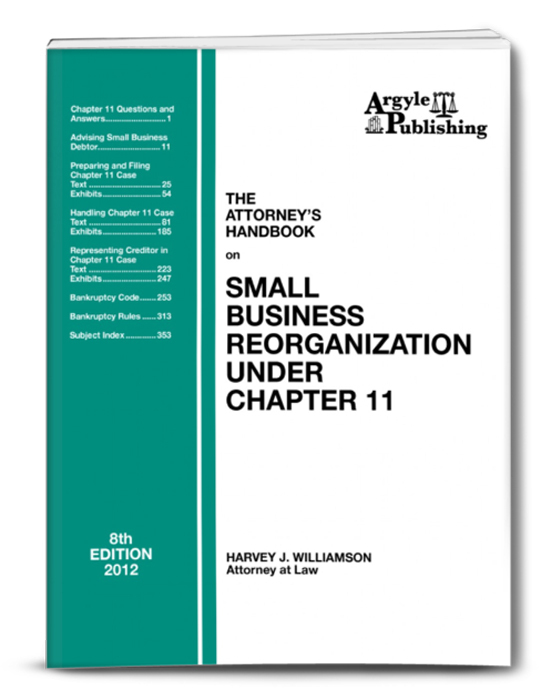 More information is available in Argyle’s Chapter 11 Bankruptcy Handbook.